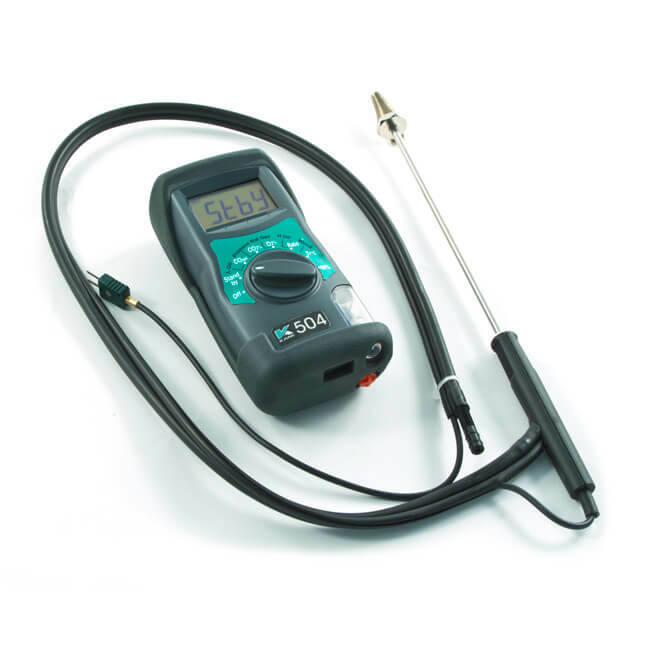 The Kane 504 compact combustion analyser has a rotary switch and a protective rubber sleeve with integral magnet. It uses a non-dispersive infrared (NDIR) sensor to directly measure CO2, a long life electrochemical sensor for CO, measures temperature and calculates O2, CO/CO2 ratio, excess air and efficiency. 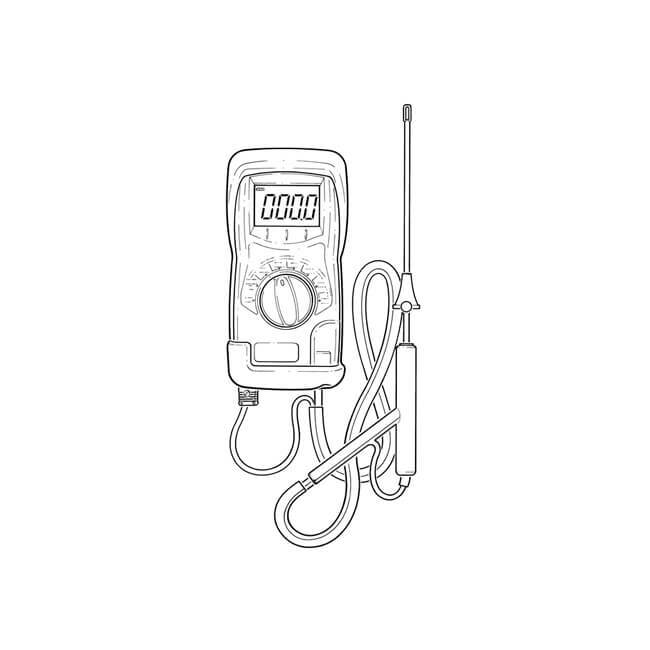 Supplied with KMCP71 flue probe, 4 x AA alkaline batteries and instruction manual. Suitable for use with ‘domestic’ fuels - natural gas, propane, LPG, heavy and light oil (oil burning appliance flue gases should be sampled after being measured and confirmed to have a very low smoke number), wood and coal. Natural gas, propane, LPG, light and heavy domestic fuel oils, wood and coal.